well-reasoned submissions made with care and precision. James Jackson’s practice encompasses serious crime, financial crime and international criminal law. James has built up a range of experience in both prosecution and defence, combining measured and thorough preparation with committed advocacy and a client-focused approach. James has considerable experience in complex fraud and is also regularly instructed to appear in the tax tribunals and immigration tribunals. 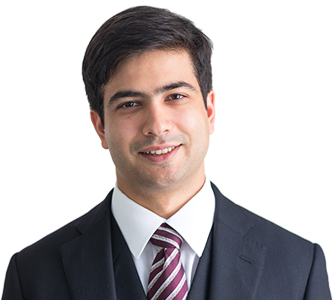 Prior to coming to the Bar, James worked at a boutique US law firm dealing with corporate immigration and at a UK solicitors firm specialising in insolvency, before working at the Special Tribunal for Lebanon and the International Criminal Tribunal for the Former Yugoslavia. James is public access qualified. James is regularly instructed to prosecute cases relating to violence, drugs, theft and money laundering. James has also prosecuted planning offences and cases under the Environmental Protection Act 1990, and acts on behalf of a range of organisations including local authorities and the Royal Mail. James has considerable experience in criminal defence, and has defended alone representing clients in trials involving conspiracy to supply heroin and cocaine, sexual assault, grievous bodily harm, violent disorder and fraud. James’s international practice has included defence of persons accused of war crimes and crimes against humanity before international tribunals. James has built up considerable experience in relation to fraud and financial regulations. James was instructed as a led junior in the prosecution of R v K and Others, a thirteen handed £40 million mortgage fraud at Southwark Crown Court. He is also currently instructed as a led junior in R v W and Others, an SFO prosecution in relation to a widespread conspiracy to commit fraud, involving companies in multiple jurisdictions. James accepts instructions in relation to asset recovery, restraint and confiscation and has acted for both defence and prosecution in relation proceedings under the Proceeds of Crime Act 2002. James appears regularly in the first-tier and upper-tier immigration tribunals in relation to appeals against Home Office removal decisions, upper tier appeals and judicial review proceedings. James receives instructions in extradition matters and has represented clients at Westminster Magistrates’ Court, in cases concerning extradition to both category 1 and category 2 territories. James has appeared in the first-tier and upper-tier tax tribunals in a range of cases, including in relation personal liability notices issued against company directors following entry into liquidation, and civil proceedings with respect to a £7m missing trader intra- community fraud.